Hido Biscevic, Secretary General of the Regional Cooperation Council (RCC), met in Skopje today with Nikola Poposki, Minister of Foreign Affairs, of the Former Yugoslav Republic of Macedonia, as the incoming chair of the South-East European Cooperation Process (SEECP). The talks focused on political and economic developments in South East Europe, including resolution of bilateral issues that have adverse effect on regional cooperation. The high officials discussed the state of play of regional cooperation within the SEECP and its future with a view to enhancing the RCC role, especially beyond 2013. Minister Poposki said his country was preparing the programme and the timetable of the most important events during the SEECP chairmanship and, in that respect, expressed interest in furthering cooperation and coordination with the RCC. The RCC Secretariat’s assessment of its own work in implementing the first year of the organization’s Strategy and Work Programme 2011-2013, which has just been completed, was singled out as an important element in ensuring a successful future work of the Secretariat. Secretary General Biscevic underlined that the EU enlargement dynamics should continue, and stressed the usefulness of further alignment of the RCC role with the EU Enlargement Package. 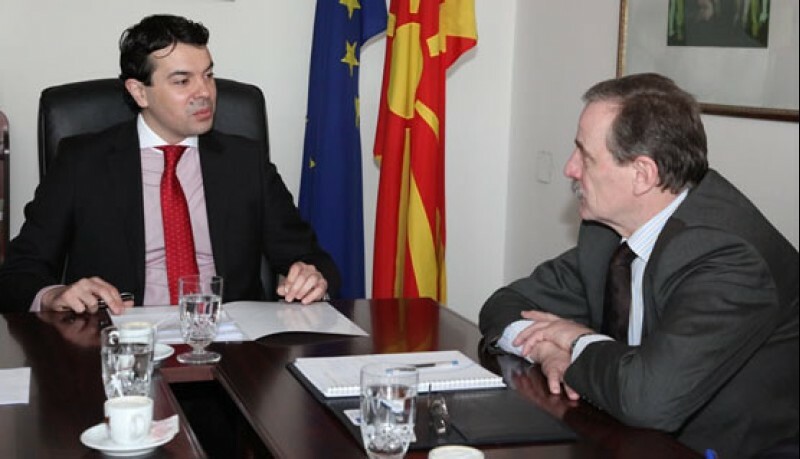 The provisional agenda of the incoming SEECP chair was also discussed, as The Former Yugoslav Republic of Macedonia prepares to take-over the one-year rotating chairmanship from Serbia in June this year. The RCC Secretary General met with advisors to President Gjorge Ivanov and with the State Secretary for EU Affairs Jovan Andonov, who underlined the importance of regional cooperation in general, especially for further EU enlargement. The meeting was part of the RCC Secretary General’s regular consultations with political leaders in South East Europe to exchange views on developments in the region and perspectives of enhancing further regional cooperation as a key element on the way towards EU membership.